The PC Principle \ News \ MAJOR CRIMES WEEK - Season 5 DVD Giveaway! MAJOR CRIMES WEEK - Season 5 DVD Giveaway! 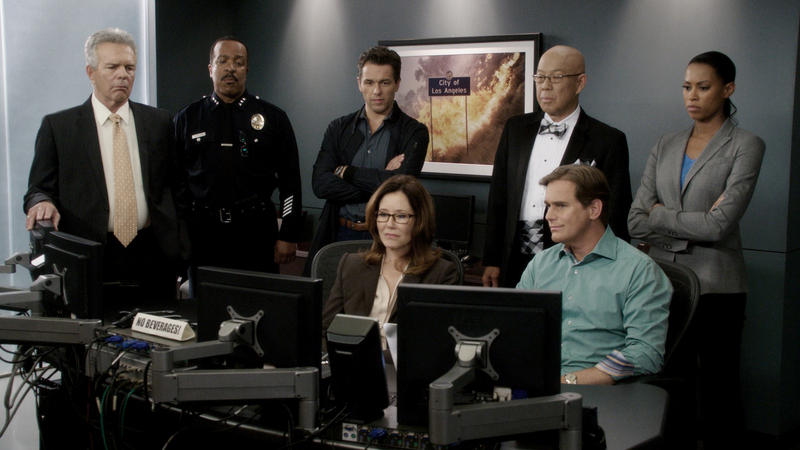 We are back with our Major Crimes Week celebration leading up to the Season 6 premiere on Halloween night! Our first giveaway saw three lucky fans win a Major Crimes Season 6 poster. Congratulations to the winners! Today we are back with an even cooler giveaway. The winner of this giveaway contest will receive the fifth season of Major Crimes on DVD! QUESTION: Who suggested segueing Mary McDonnell from villain to lead after Kyra quit The Closer? Send your answer to troy@thepcprinciple.com and we will randomly select a winner from the correct answers! Contest will end at 2pm EST today! MAJOR CRIMES WEEK - James DuffMAJOR CRIMES WEEK: Contest Winners!